Zack is using Smore newsletters to spread the word online. Being the personification of the sun, he rides across the sky on his chariot pulled by FOUR FIRE-BREATHING HORSES. FOUR OF THEM. How cool is that? They even have names too. Pyrois, Eos (weird how that's his sister and horse), Aethon, and Phlegion. Helios, or Sol in Roman mythology, is the Sun. He is the son of the Titans Hyperion and Theia; husband of Oceanus; brother of Eos (the dawn) and Selene (the moon); and the father of Phaeton. Sol (Indiges), the Roman version of Helios, was worshipped greatly in the early times of Rome, when it was small and not an empire. Sol was praised in the Temple of Sol, where they also praised Luna, and it sat on Quirinal Hill. They had a festival every August 9th in the name of Sol. 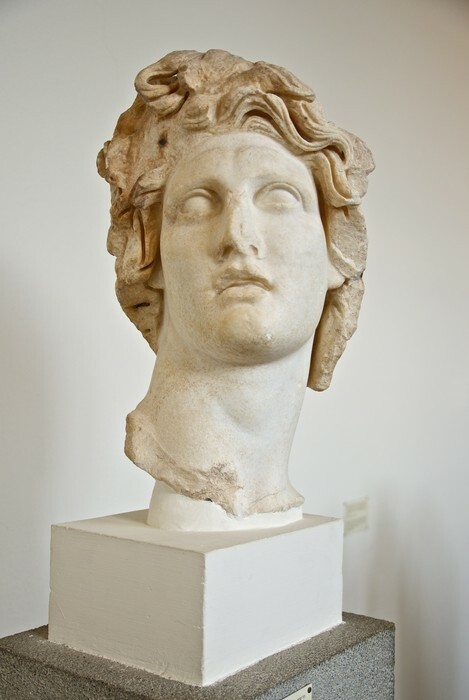 What parts of Mythology is Helios relevant in? 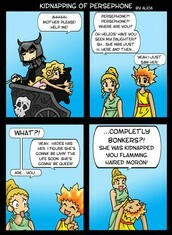 -One time Helios gave his son, Phaeton, a try on the chariot. He didn't have enough control over the horses and the horses went all over the sky. 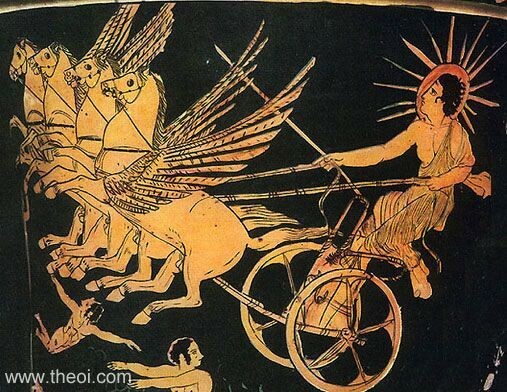 The end result differs from viewpoint to viewpoint, one being Phaeton was smited by Zeus and another being Phaeton was thrown from the chariot and fell to his death. Either way, Phaeton was DEAD. 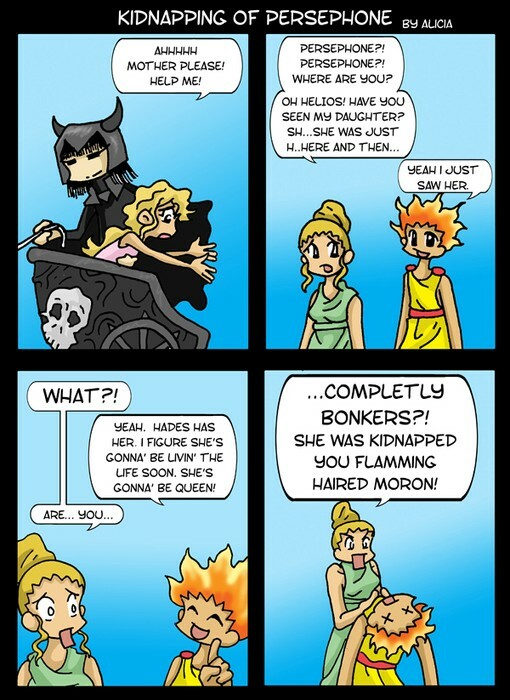 -Another time, Helios was one of the few beings, if not the only one, to notice Hades kidnap Persephone. Demeter asked Helios if he saw it happen because he was always in the sky. He did and pointed the goddess in the right direction and that was that. -Helios was the one to break it to Hephaestus about the affair between Ares and Aphrodite.